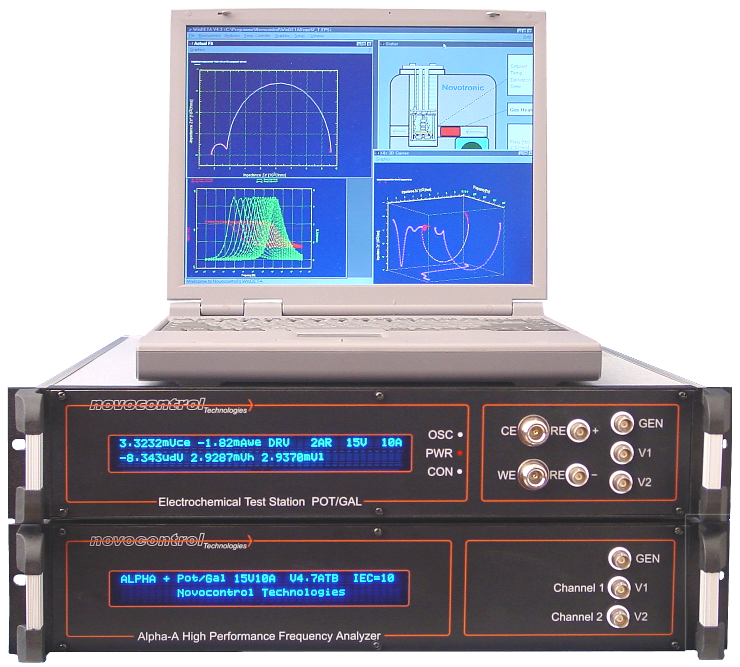 Most impedance analyzers exhibit low-frequency limits higher than some 10 Hz. This is sufficient for many technical applications as the impedance at low frequency is often constant at low frequencies and therefore does not yield new information. Many materials, however, show strong frequency dependence at very low frequencies down to the mHz range or even lower. The low-frequency response contains a substantial amount of additional information unavailable from the "high frequency" spectra above 10 Hz. This especially applies to dielectric materials, electrochemical systems and generally all high impedance samples. The main effect measured in dielectric materials is the relaxation dynamics of polar molecules. Relaxation times range from some picoseconds to practically infinite (like e.g. years). This corresponds to frequencies from 100 GHz to nHz. Since the entire frequency range may contain important information, the instrumental frequency range should be as broad as possible. Dielectric samples require in addition high phase accuracy and wide impedance range. In these systems charge transport is typically dominated by mobile ions. In practice, technical systems with e.g. electrolyte to metal, electrolyte to membrane or electrolyte to insulator systems for batteries, fuel cells, paints or corrosion analysis are important. At the electrolyte borders, interface polarization effects are created due to ion accumulation involving slow processes. This results in low frequency dependence of the measured system impedance related to the structure of the interface region and corresponding charge transport processes. As a general electrical property, all systems with sufficiently high resistance show low frequency dependence. This is because any insulating system can be modeled in good approximation by an equivalent circuit of a frequency dependent resistance R and capacity C. The capacity is at least a stray capacity in the pF range. This circuit behaves like a Debye relaxator with an relaxation frequency of fr=1 / 6.28 * R*C. E.g. for C=1 pF and R=1 TΩ fr = 0.15 Hz and the impedance spectrum will show strong low frequency dependence down to the mHz range. 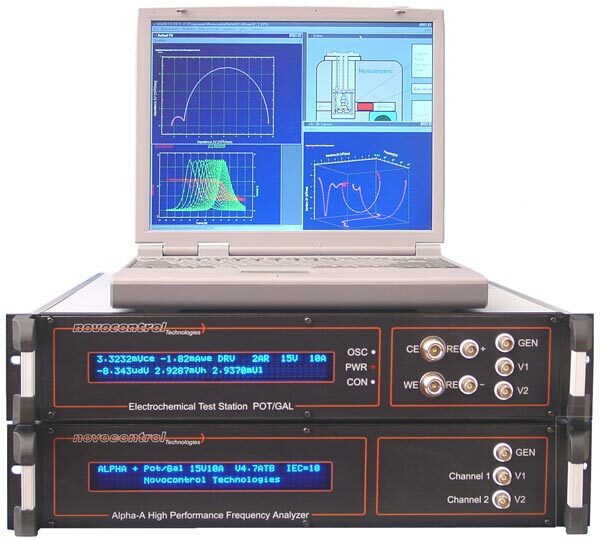 Therefore, low frequency characterization for high impedance samples is always required. At low frequencies, at least one signal period has to be measured. Therefore, measurement time increase linearly with decreasing frequency. This results in a practical limit for low frequency measurements. E.g. a typical frequency sweep down to 1 mHz may last about 3 hours, a 0.1 mHz sweep requires 30 hours which still may be acceptable. Frequencies below 0.1 mHz are rarely used due to the long measurement times involved. Nevertheless, it is important that the analyzer can create significantly lower frequencies in order to have sufficient low frequency resolution. E.g. the Alpha low frequency limit of 0.003 mHz results in 3% frequency resolution at 0.1 mHz. Measurement examples: Broadband Dielectric Spectra of PVDF measured with Alpha analyzer.